The month of October was a bit of a shoe hiatus for me. I've taken a step back to reflect and window shop. Sophia Amoruso, CEO of Nasty Gal wrote in her book #GIRLBOSS that "Money looks better in the bank than on your feet." For a footwear aficionado like myself who spends about 85% of her time thinking about, dreaming about and talking about shoes in both leisurely and professional capacities, those are not words my heart wants to live by. But hey, I gave it a go! I've compiled a wish list of all of the shoes that my heart yearned for during the month of October. Keep reading to see this months drool worthy #SHOECRUSH picks! Aren't they just stunning!? 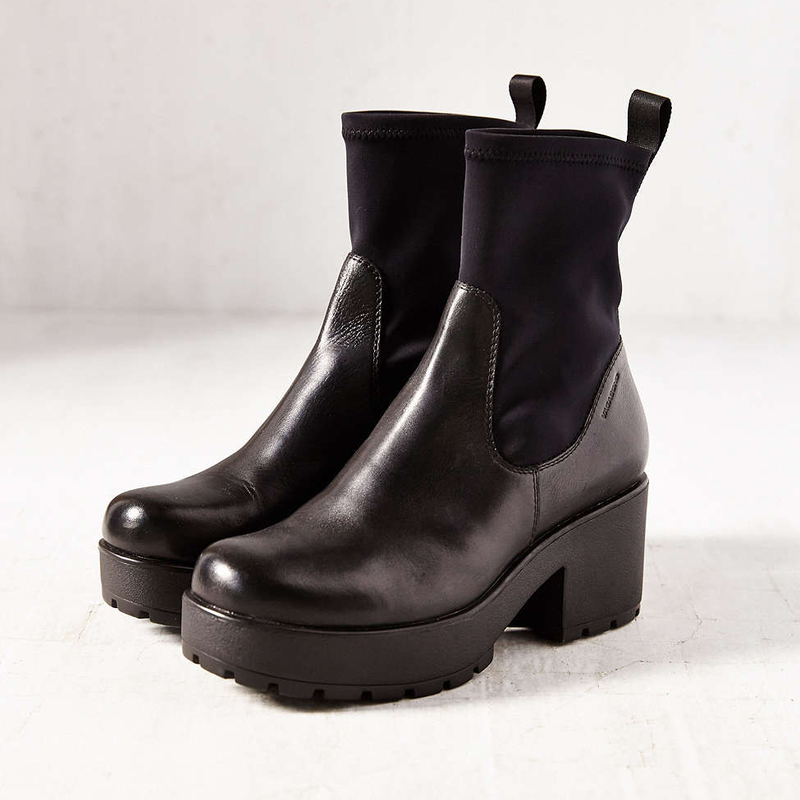 The heel height is perfect for an every day boot, and I'm a sucker for anything fully leather lined. I tried these on in black leather originally and I say this without exaggeration, they fit like a glove. Unfortunately it seems the black leather is sold out everywhere, but they are just as hot in the pony hair. 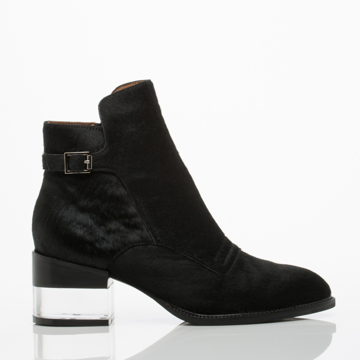 After all, the best part is the half lucite, half stacked heel. Lamoda is a UK based footwear and accessories line. If you're a Jeffrey Campbell girl you will love everything they do. These are very reasonably priced at £37.99 (or $69.00 for my Canadian girls) and they ship worldwide. They do really great handbags, jewellery and miscellaneous accessories as well. It is definitely worth thoroughly browsing their website as it does not disappoint. 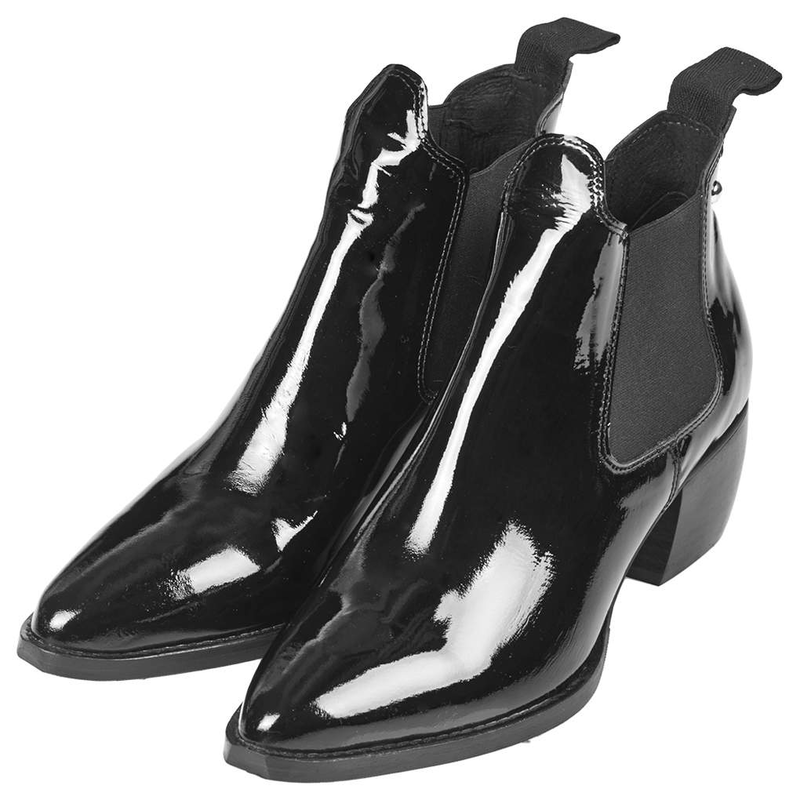 The Chelsea boot is arguably the biggest trend in footwear this fall. There is not one designer or big box retailer that hasn't bought into this classic style in all its new found glory. You can go the basic route, or have a bit of fun with it. 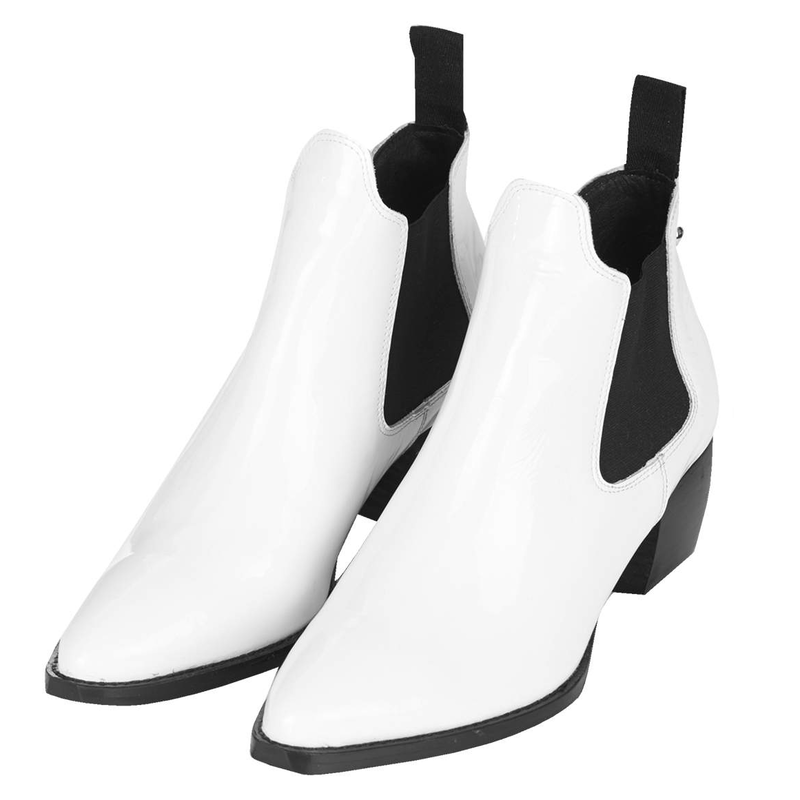 These booties also come in black leather but come on, they are way more fun in the patent! They feature a rounded stacked heel, pointed toe, and they are leather lined. I've owned Vagabond boots before and I wore them into the ground. This is because it's not often I find a shoe this comfortable that actually looks cool enough for me to want to wear. Part of the reason why they offer so much comfort is the rubber on their big chunky platform actually has flex to it. All my platform wearing girls can sympathize with the pain you get from walking around on stiff brick like structures all day. With Vagabond you get the look, but your feet still get to move in their natural walking motion. I also love the idea of the stretch gore-tex ankle as a feature to help show off the shape of your leg. In other words the definition of a #SHOECRUSH.